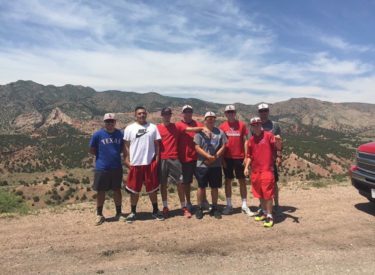 The Liberal Rattlers finished 1-3 against good competition in Canon City, Colorado. Friday Liberal defeated Pueblo Centennial 10-0 but lost to Finney County Sunday 5-2. In the Friday game, Kaleb Wilmes pitched a no hitter. The game went four innings due to the run rule. Wilmes did not allow a hit and did not walk anyone. Elijah McCarter was 3-3 with two runs and Cesar Burciaga was 2-2 with four RBI’s. Sunday, Finney County used a four run fourth to win. Finney only had three hits but the Rattlers made three errors. Poncho Terrazas was 2-3.